It’s a tough call, I know. Plus, it’s hard to call someone a false teacher when, in the past, they have spoken and taught truth. Peter, a disciple of Christ, wrote his second letter to believers – and that includes us. He had a warning about false teachers. Their teaching can be subtle or blatant. As followers of Christ, it is our responsibility to test what people teach with the Word. If what someone says or teaches does not match up with the Word of God, then their teaching is wrong – and false. For folks who traveled on foot during Bible times, wells along the way provided water and refreshment. Sometimes they provided necessary hydration – when they had water, that is. 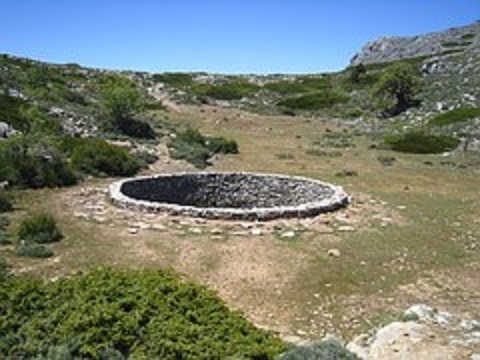 A good well preserved life and nourished the languid and thirsty. 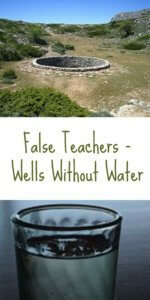 Peter says that false teachers are like wells without water. Not exactly a compliment. 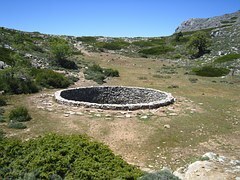 Who wants to be a dry well? That’s what false teachers are. Unfortunately, sometimes we don’t realize how false the teaching is for many days or months, or years. denies the deity of Christ. Jesus Christ is God. He was not created and is the only Son of God. Today, there are people who had been following Christ and teaching truth. They have strayed from that Truth and started adding their own “revelations” from God. The shift is so subtle that it’s hard to see – or hear. We like the person and we like the teaching we’ve experienced in the past from this person who was following God. Then untruth begins filtering through what is taught and we fail to see or hear what is happening. How careful are we to be certain that the teachings to which we listen are based solely on the authoritative Word of God? Does their well produce life-giving water? There are people I used to “follow” – whether through their blogs, books, or Bible studies. I’ve quit following those people because their teaching has become false. If we are serious about following Christ, then we must follow those who follow Christ – and not be followers of those who have veered from the truth.